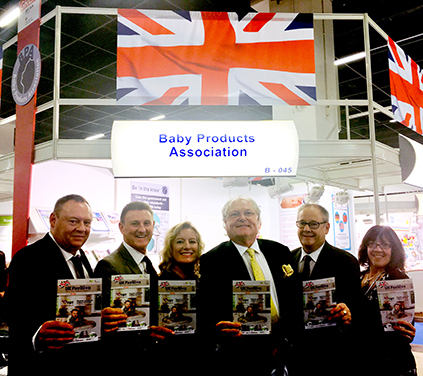 The Baby Products Association certainly upped its game in Cologne this year, as the UK Pavilion at Kind und Jugend was not only bigger and better than ever before; with more participants and eye-catching branding; but also attracted attention from Lords and Dragons too. 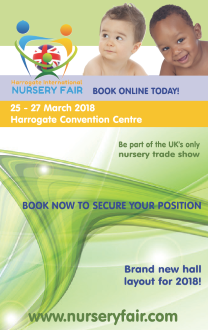 This year, more than 70 companies participated in the UK Pavilion with every type of product possible for pregnancy and babies including toiletries and wipes, feeding and teething accessories, toys and furniture and of course strollers and car seats. 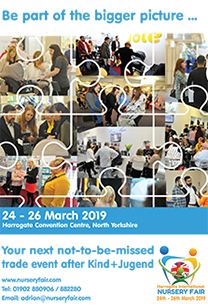 The dedicated networking area in the centre of the Pavilion proved hugely popular, not only with exhibitors in the Pavilion, but encouraged international buyers to remain in the area to meet colleagues and enjoy refreshments.